U.S. Senate Majority Leader Mitch McConnell (R-Kentucky). Photo courtesy of Senator Mitch McConnell Facebook page. Washington – As the partial shutdown of the federal government lurches into another week, Senate Majority Leader Mitch McConnell has taken to the Washington Post to blast a Democrat attempt to pass legislation to use federal tax dollars to finance their campaigns, establish new restrictions on political speech, give voting rights to convicted felons, and take away the ability of states to determine their own Congressional districts, among other things. Calling the Democrat proposal HR 1 the “Democrat Politician Protection Act”, McConnell takes apart the proposal that Democrats are billing as “anti-corruption” as an effort to use federal law to reinforce and bolster Democrat’s partisan strength in Washington. Here is a look at a few of the most notable changes in HR 1. The proposal would create a federal matching fund that would give candidates for Congress $6 from federal taxpayers for every $1 they raise from most contributions. Would propose a Constitutional Amendment to end Citizens United and create new regulations subjecting individuals to greater regulation and scrutiny for political speech. Would alter the way clerks use mail to confirm voter residence, effectively stopping them from cleaning up voter lists. Would create automatic voter registration, including online enrollment. Would make election day a holiday for federal employees (but not private sector employees). Would give voting rights to convicted felons, overriding state laws in many states. Would take away the power of states to determine their own Congressional districts and turn the authority to draw Congressional maps over to a federal bureaucracy. Would add a fifth member to the FEC board to provide a partisan advantage to one major political party or the other. It is widely believed that some of the anti-corruption individual proposals in HR 1, such as tougher lobbyist registration requirements and preventing lawmakers from using tax dollars to settle sexual harassment cases, could be passed with bipartisan support. It appears from Sen. McConnell’s op-ed that the attempt by Democrats to bulk up the bill as a liberal wish list has killed any hope of passing those proposals in this sweeping package. Still, both of Maine’s Representatives to Congress, Jared Golden and Chellie Pingree, have signed on as cosponsors of the proposal, which would likely lead to millions more dollars pouring into Maine and flooding the airwaves in future elections, if passed. 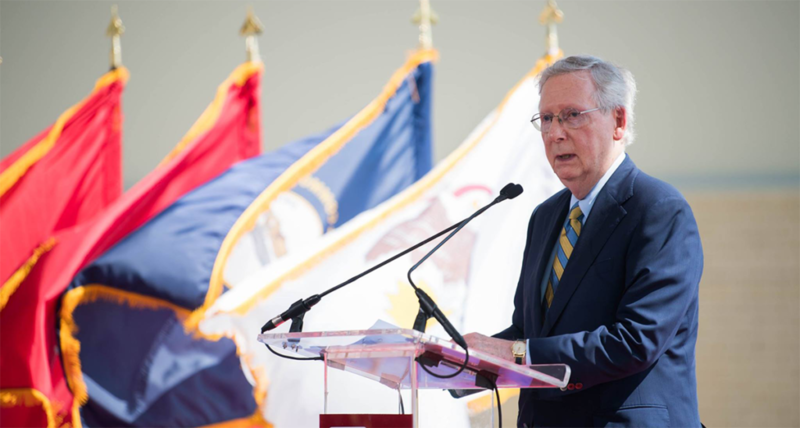 You can read the entire op-ed from Senator Mitch McConnell (R-Kentucky) in the Washington Post by clicking here.